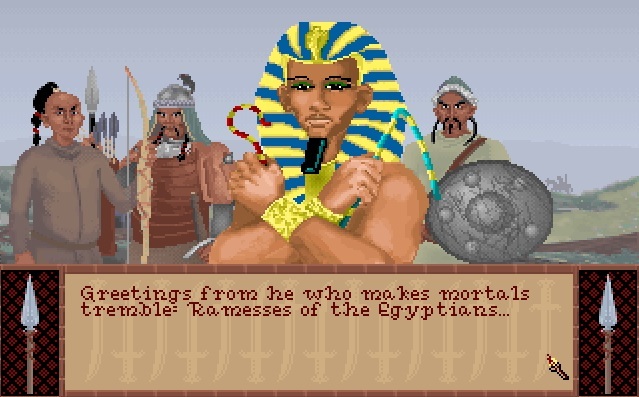 This short clip is the music that plays as background music for Ramesses I of Egypt in the classic turn-based strategy game Sid Meier's Civilization. It's quite minimalistic in this version of the tune and I much prefer the Civ II take on it which is known as "Harvest of the Nile" on the Playstation version of the game (how is that even possible? Playing Civ II on Playstation? ).